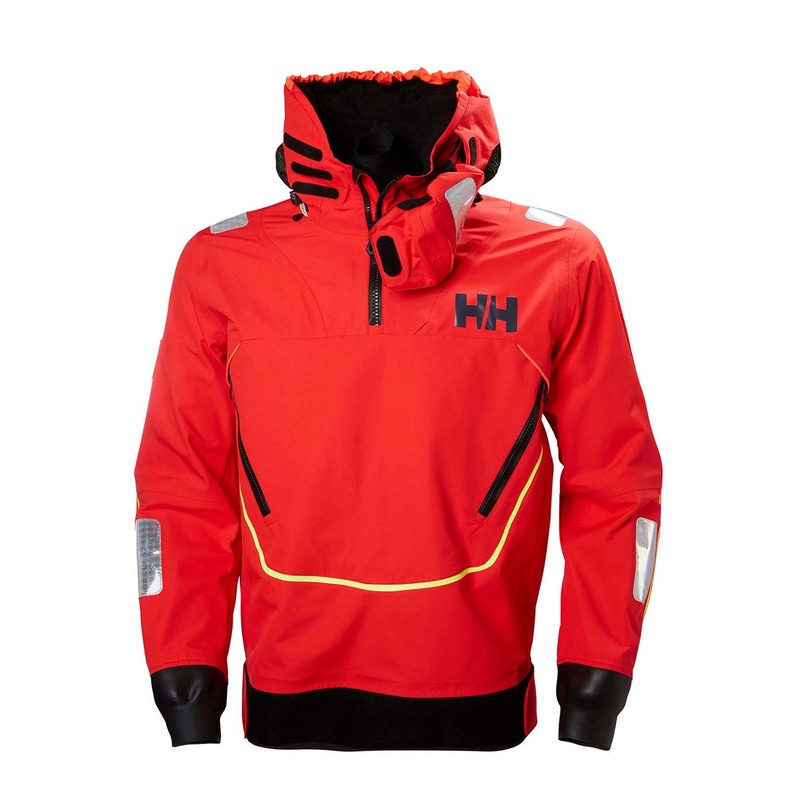 A protective, lightweight, men's smock top that's ideal for offshore racing. The Ægir Race is the lightweight variation of our Ægir Offshore Collection, perfect for offshore racing. The Ægir Race Smock offers full protection from punishing waves and wind with tight latex seals in the neck and cuffs. Sturdy but weight-conscious construction uses our latest Helly Tech® 4 ply fabric technology with composite membrane lamination. The Ægir Race smock top is cut for freedom of movement to take on hard work on deck. It also has a tall, protective collar and facemask for rougher waters. This smock top is fully equipped with hand warmer and storage pockets, a high visibility hood, and SOLAS rated reflectors.